My research trip to Eastern Turkey over the last couple of weeks yielded some unexpected discoveries. The trip was designed to update my Bradt Eastern Turkey guide for its second edition, but I kept finding myself sucked towards the Syrian border. 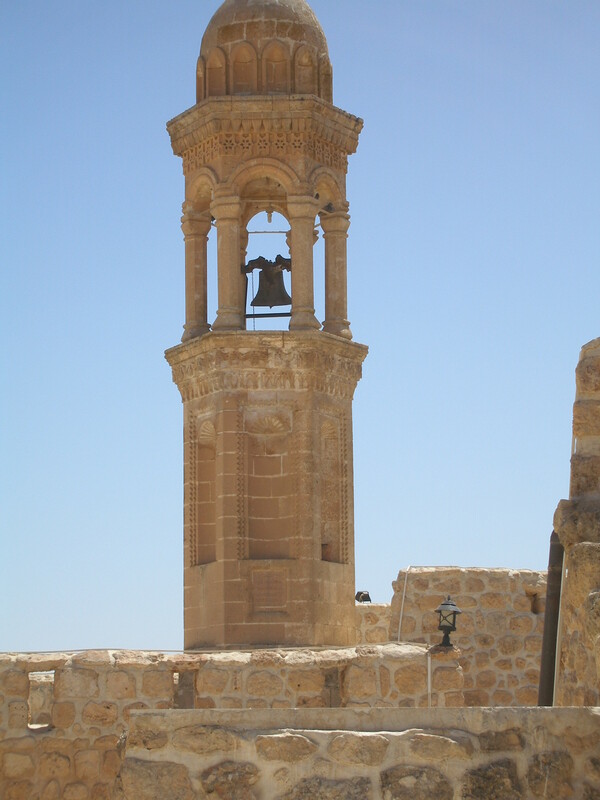 After revisiting Urfa’s Balikli Gol, the sacred fish ‘Pool of Abraham’ in temperatures of 40C, I drove 45km south to Harran to inspect its famous termite-like beehive houses, relics of biblical living, and its ancient university on the site of a pagan moon temple. All was quiet and exactly as I remembered it, so I drove on just 15km kilometres further south to Akcakale, the border town with Syria where five civilians were killed in October 2012 by shells fired from inside Syria. All quiet now, but on the edge of town I was startled to see a heavily crowded tent city, hemmed in by barbed wire fence. Its misery was palpable even from a distance. Designed to house 23,000 Syrian refugees, I later learnt it was now home to 36,000, a figure that defied belief. How could so many possibly live in such conditions in such stifling heat – let alone in Ramadan, due to start in a few days’ time? 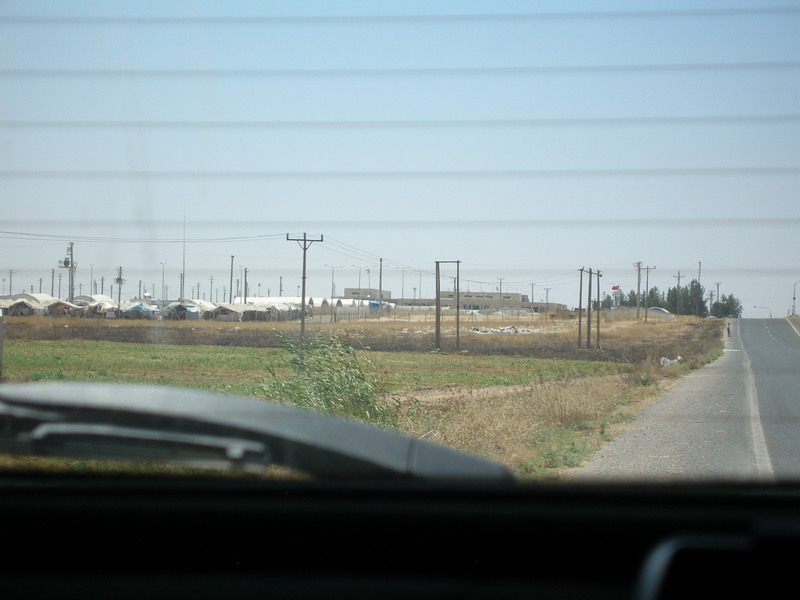 I drove back and forth along the main road in front of the camp, feeling helpless, passing several families hitching lifts, wondering if I should stop for them, but fearful in case I was in turn stopped by the Turkish authorities and in some way implicated for my involvement. Stories had reached me about how some Syrians were starting to run away from the camps, desperate to lead something closer to a normal life, after months of confinement. In the end I decided my most useful contribution would be to give my food away – my picnic lunch plus two bags of nuts I had bought in Gaziantep market a few days earlier. Driving slowly, I pinpointed two small boys returning towards the camp who were carrying nothing at all. When I stopped and got out of the car to offer them the food, they were visibly startled and frightened, and required some coaxing to take the bags from me. They spoke neither Turkish nor Arabic and I wondered afterwards if they might have been Kurdish, since the area around Tell Al-Abyad across the border was a heavily Kurdish part of Syria. When I looked in the rear view mirror after driving off, I saw they had quickened their pace, hurrying back to the camp with their unexpected gift. It was an image that has stayed with me since. 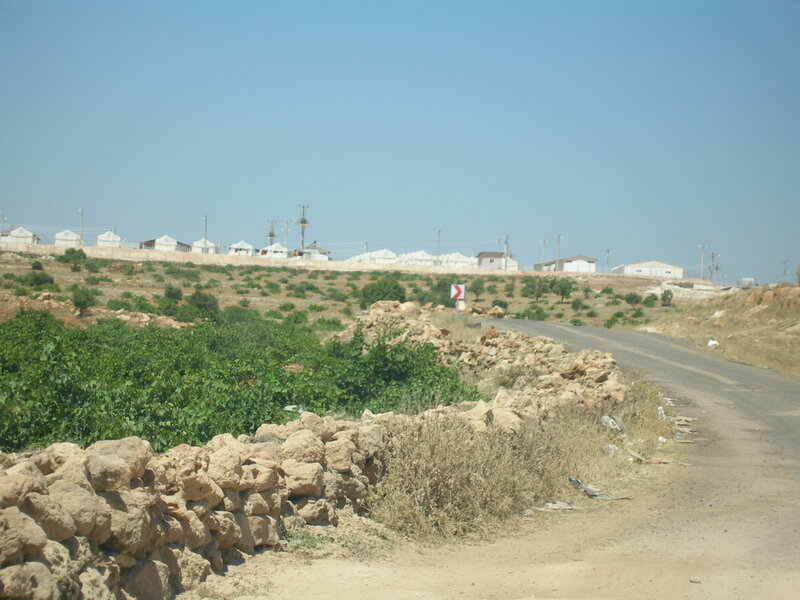 A few days later in Midyat on the way to visit the Syriac Orthodox Monastery at Gulgoze (Syriac name Ainwardo), I stumbled on another refugee camp. In contrast to the camp at Akcakale, this one was spacious and well-appointed, with cabins rather than tents, and numerous bathroom blocks similar to a European camp-site. Far from being overcrowded, it seemed largely uninhabited. 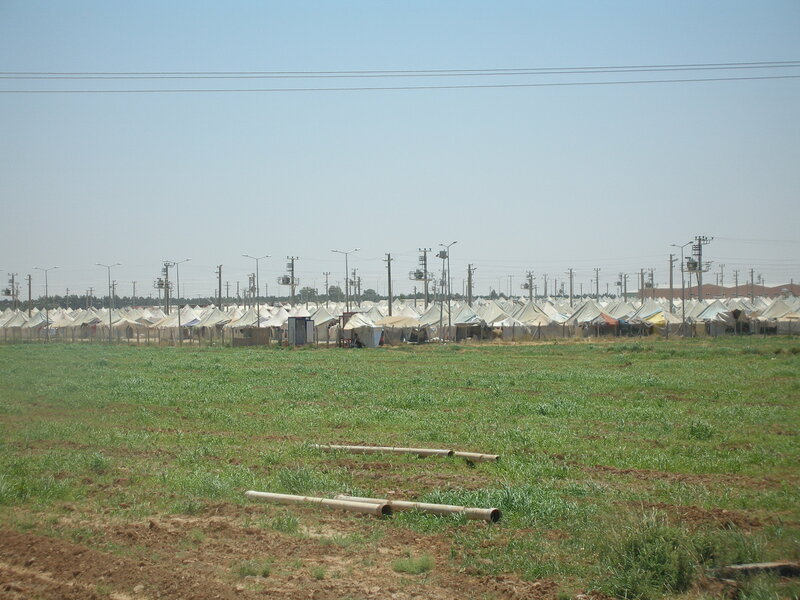 My subsequent enquiries explained why – the camp had only been built about three months ago, on land donated by a wealthy Syriac businessman, and was only for use by Syrian Christians.